Most of my life, I looked from the outside in at art and what artists do. Appreciation led to my own attempt and through a string of influences I have been involved in creating things for about 12 years. I have created about 1,000 or so objects ranging from eclectic collectibles to tables. My attention to detail goes a long way in customer appreciation and I truly enjoy doing what I am doing. My vision is based on uniquely combining materials to create an end product that is generally functional, but sometimes representational. 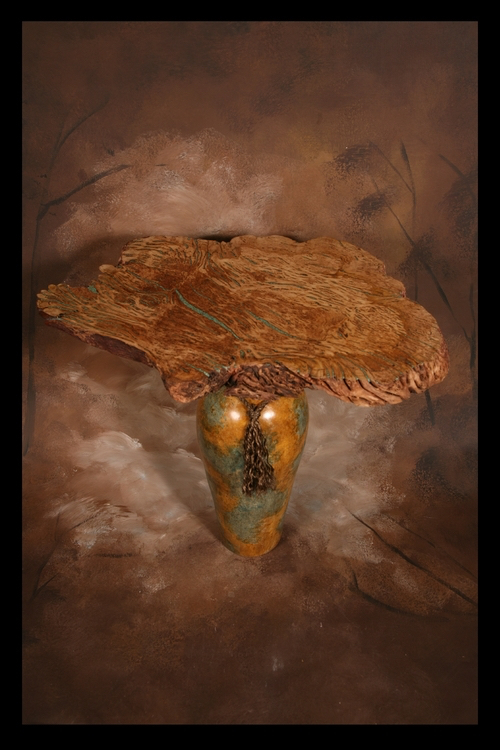 The choice of materials and finishing techniques give my work a natural elegance; in essence, an earthy, yet fine presence. 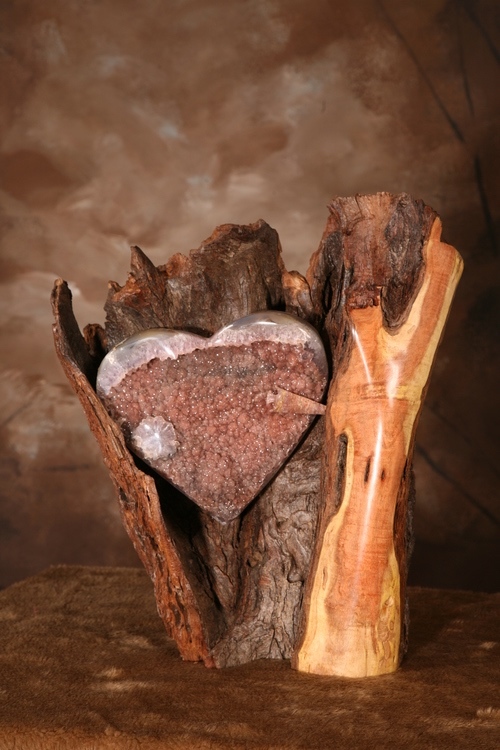 I use exotic hardwoods from around the world and incredible stone or other natural components as complementary material. To marry these takes patience and a steadfast vision. I have steadily developed this art form into my own unique style, and am committed to continuing this process. I even let my creativity delve into a little re-purposing on occasions when inspiration demands. My finishes compete with the very best in the business and again I take great pride in getting it right. In the end, I want to present one-of-a-kind items exquisitely done and the patron thrilled to have in their home. My foundational philosophy of art is grounded in presenting beauty, while humbly recognizing it is the material more than my own doing that is the true honoree in my work. Yet again, unifying different types of elements to form an art piece takes a long look and ultimately wisdom to come up with exactly the right presentation.